Heart healthy – Pitaya is both low in cholesterol and has little to no unhealthy cholesteral producing fats. Raw – To make our Pitaya bowls, our Pitayas are picked at its peak and flash frozen (like our other IQF fruits available in stores) to maintain its high nutrient levels. We use Pitayay Plus pitayas which are never cooked, heated, or pasteurized. NSA (No Sugar Added) – No sugar is added to our Pitaya. Why? Because too much added sugar can cause unwanted health problems including type 2 diabetes, obesity, and more. Antioxidants – Pitaya is high in antioxidants, which protect your cells from damage and neutralize formation of disease. 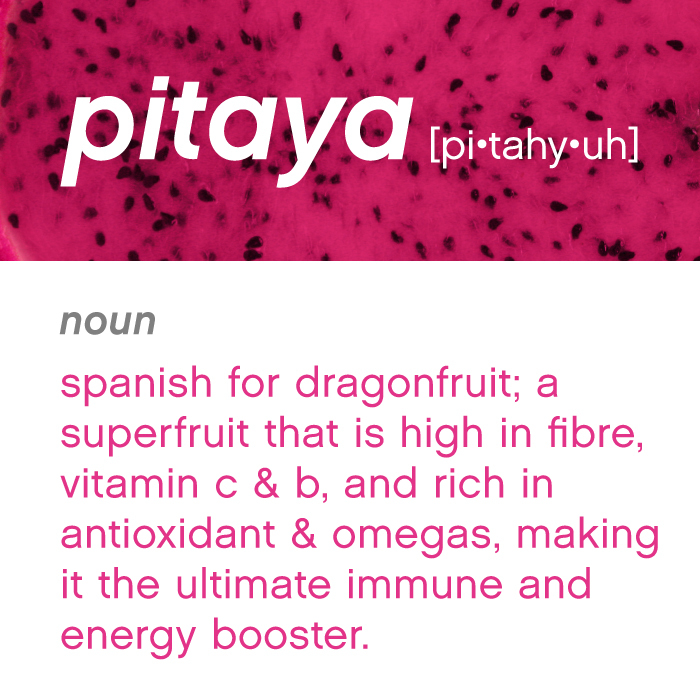 Fiber – Pitaya helps clean up your digestive system. Eating its flesh and seeds, which contain good protein, helps keep your body fortified and satisfied. Protein – The flesh and seeds in Pitayas are a great source of protein, which is what makes our bodies run smoothly since its part of almost everything including our teeth, hair, bones, organs, etc. 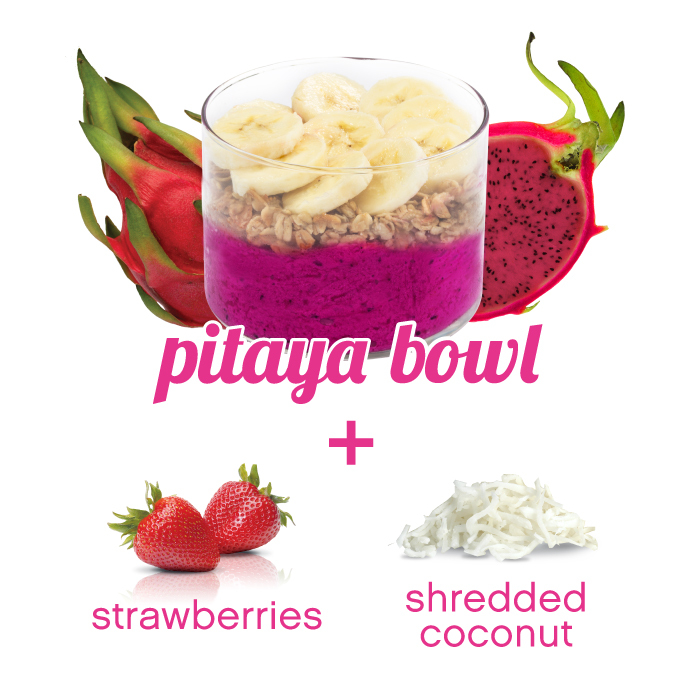 The next time you stop by one of our stores, try a Pitaya bowl for yourself. We’re sure ür body will thank Ü.